Cancer is a term that describes a number of different diseases characterized by abnormal cell mutation. The spread of cancerous or neoplastic cells to other sites such as a lymph node or the blood is diagnosed as metastasis. The most common type of cancer, non-melanoma skin cancers, is one of the least fatal variants of the disease. Due to the different location, stages, and genetic variances of cancer Social Security have numerous protocols and classifications for cancer and disability claims. The compassionate allowances list contains a wide variety of rare cancers. It also includes many late-stage and high-grade cancers. Compassionate Allowances allow Social Security to target the most obviously disabled individuals for allowances based on objective medical information that can be obtained quickly. Some types of cancer are only covered in the compassionate allowances list if they include distant metastasis, are inoperable, unresectable, or recurrent. Many types of cancer not covered in the compassionate allowances list are present in Social Security’s medical listings. Social Security has dedicated an entire subsection of their medical listings to cancer. With proper medical evidence, anyone that meets the definition of a listing will be granted Social Security benefits. Medical listing 13.00 Malignant Neoplastic Diseases covers 28 different types of cancer with numerous variances of the disease per individual listing. Like the compassionate allowances list, some cancers only qualify under a listing if they have metastasized beyond the point of origin, are inoperable, unresectable, or recurrent. Social Security does not automatically award every cancer case, and in some instances, they will wait until surgery, chemotherapy, or radiation is performed before evaluating a claim. Sometimes the side effects of chemotherapy or radiation are severe enough to cause permanent limitations to someone’s ability to perform daily activities and the ability to work. 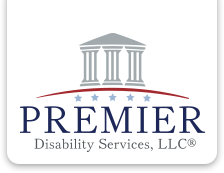 Premier Disability Services, LLC has extensive experience assisting claimants who have cancer obtain Social Security Disability benefits. If you have this medical condition and you are unable to work, please contact our office for a free evaluation.